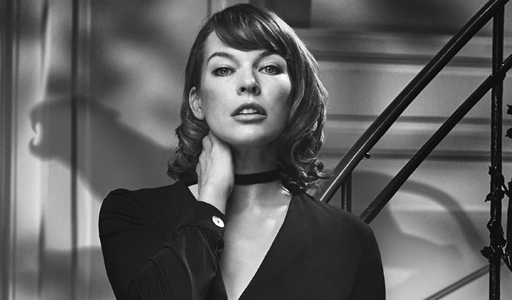 American actress, model and musician Milla Jovovich is the face of the new Joop! fragrance, Wow for women, launching later this month. If you thought Veganuary only applied to diet, then it's time to think again. According to research by perfume purveyors at online marketplace OnBuy.com, 64% of fragrance consumers will be looking for vegan perfumes in 2018. Twenty years after opening its first boutique on London's Regent Street, French fragrance and beauty brand L'Occitane has returned to opened its first UK flagship and its largest ever store. The two-story 6,450sq ft space at 74-76 Regent Street is in a Grade II listed building, famously designed by architect John Nash. Clarins Fragrance Group, parent company of the Mugler and Azzaro fragrance brands, has committed to an unprecedented Made in France programme that aims to produce perfume alcohol in a way that meets increasingly stringent environmental and social requirements.